Performing the Ngāti Kahungunu anthem “Kōtiro Māori E” was a delight for the crowd and performers of Te Waka Toka o Heretaunga haka group alike. “I enjoyed everything and I'm so proud of it,” says Chrystal Gray. 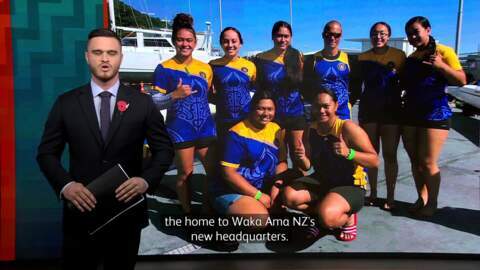 For months Te Waka Toka o Heretaunga, along with 14 other kapa, have been practising to showcase their passion and talent, highlighting that disabilities are not a barrier to achieving. Last year IHC's IDEA Services hosted the first regional kapa haka festival within their northern, central and southern areas. Today is the fruition of a vision to meet the needs of their Māori and non-Māori intellectually disabled community. The second Te Anga Pāua o Aotearoa Kapa Haka Festival will be hosted by IDEA's central region in 2020.